Taking care of the skin is a difficult task, there are so many products out there and it's hard to find one that will not make things worse for you. One of the most important steps in a skincare and makeup routine is to begin with a fresh, clean face to make things go on smoothly. Cuidar de la piel es una tarea tediosa, hay tantos productos que es difícil encontrar uno que no empeore la situación de nuestra piel. Una de los pasos más importantes en una rutina de cuidado o de maquillaje es comenzar con una cara limpia y fresca para hacer que todo fluya suavemente. This is as simple as skincare gets. There is nothing like soap to clean the face and remove impurities that may be accumulated throughout the day. I normally use this one when I'm having a few spots, just to be careful with my skin and not irritate it more. Esto es lo más simple que puede ser el cuidado de piel. No hay nada como el jabón para limpiar la cara y remover las impurezas que se acumulan durante el día. Normalmente uso este cuando tengo algunos granitos, sólo para ser cuidadosa y no irritar más la piel. 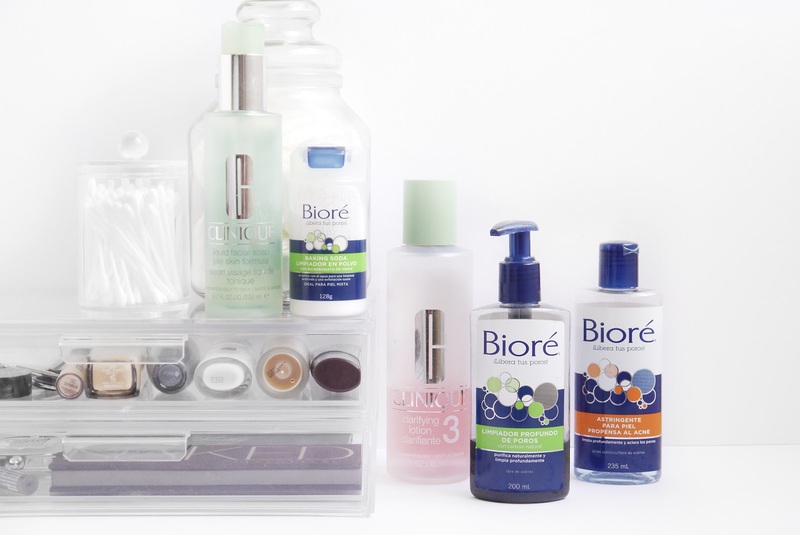 If your problem is clogged pores and oily skin, this is what you need. 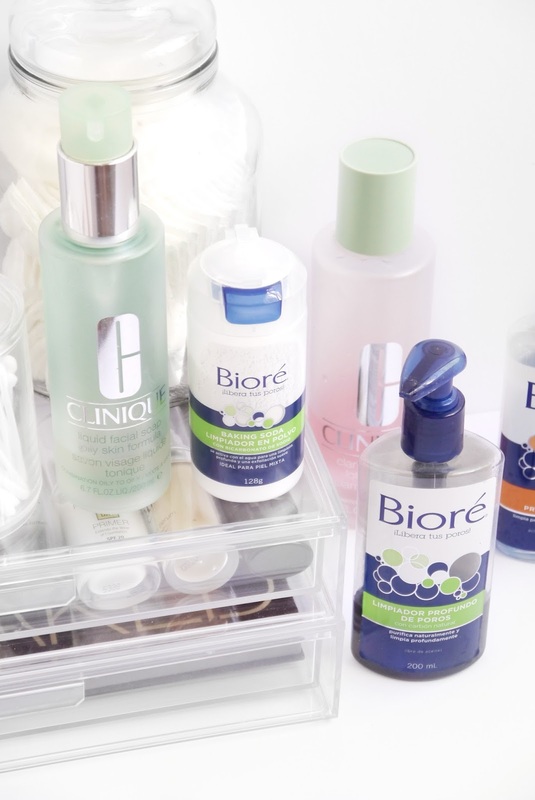 Bioré has numerous productos on their Charcoal range that will help get rid of all dirty residue from your pores without drying out the skin and leave a cooling sensation afterwards. I love using this one after removing my makeup to make sure that there is nothing left behind. Si tu problema son los poros tapados y la piel grasosa, necesitas esto. 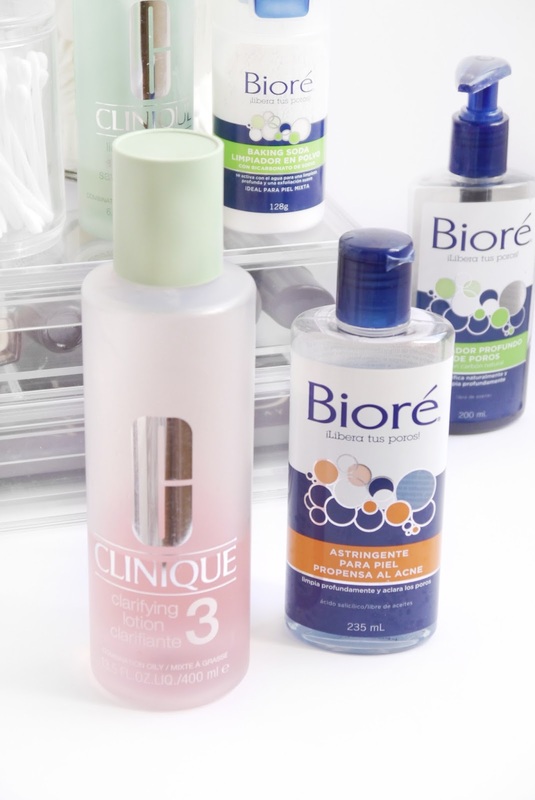 Bioré tiene un gran número de productos en su línea de Carbón que ayudan a deshacerse de toda la suciedad de los poros sin resecar la piel y dejan una sensación fría después. A mí me gusta usarlo después de quitarme el maquillaje para asegurarme de que no queda nada aún. This cleansing scrub comes in a powder-to-foam formula that needs just a bit of water to be activated. I put a small amount on my hand and wait for the water to create the foam and gently scrub my face with that. You can feel a tingling sensation and if you add more water it starts feeling like soap, then you can rinse it off. Este limpiador exfoliante viene en una presentación de polvo a espuma que necesita sólo un poco de agua para activarse. Yo pongo un poco del polvo en mi mano y espero a que el agua produzca la espuma y luego exfolio mi rostro con eso. Puedes sentir un cosquilleo al usarlo, si agregas más agua se empieza a sentir más como jabón, entonces ya puedes enjuagarlo. This is normally the finish touch on my routine when I'm not having any problems with my skin. It's very gentle and takes away whatever might be left behind from dirt or makeup. I like to swipe this through my neck too in case there is dirt there as well. Este es normalmente mi el toque final de mi rutina cuando no tengo problemas con mi piel. Es muy gentil y limpia todo lo que pudo haberse quedado de suciedad o maquillaje. Me gusta pasarlo por mi cuello también en caso de que haya suciedad ahí también. For bad skin days when I'm have blemishes I go for a deeper cleanse with this astringent. It not only clears out the skin but cleans pores to treat and prevent blemishes by containing salicylic acid. It leaves the skin feeling very fresh and doesn't feel harsh, so you can use it daily. Para días malos en la piel cuando tengo espinillas, opto por una limpieza más profunda con este astringente. No sólo limpia la cara sino que penetra en los poros para prevenir y tratar espinillas al contener ácido salicílico. Deja la piel con una sensación fresca y no se siente fuerte, así que puedes usarlo diario. Day 4: Night Creams And Masks. Day 5: Cleansers And Toners. What's your favorite way to clean the skin? ¿Cuál es su forma favorita de limpiar la piel?